This spirit of greed, and of taking the larger portion – by force or deception or both – is an unmissable presence looming over the sad history of Native American lands usurped by successive governments of the United States of America. The ancient and traditional keepers of the land have again and again found themselves in conflict with industries and agribusinesses hungry for profits and backed by the power and authority of the US government. The most recent battle in this struggle of centuries was joined in 2016 in North Dakota at the Standing Rock Sioux Reservation, and at the protest camp named Oceti Sakowin situated just beyond the reservation’s present northern boundary. 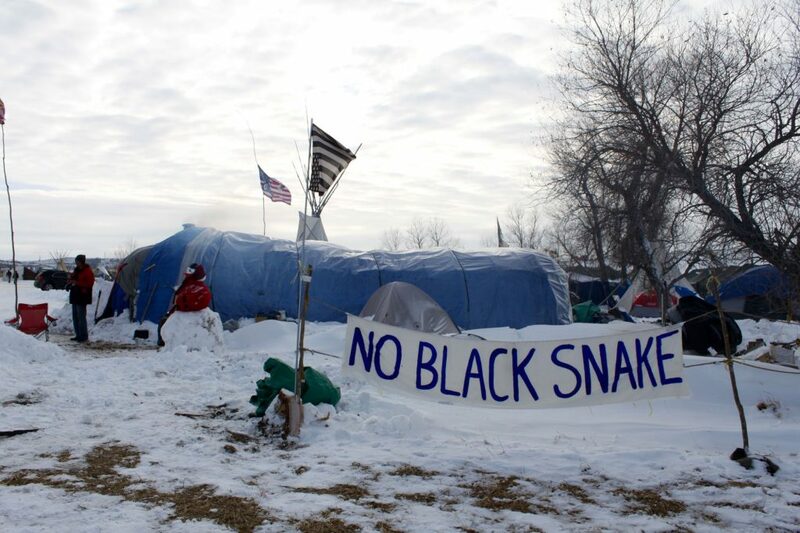 There, from July 2016 and onwards into the winter, a rainbow coalition of Sioux, other Native American tribes, and non-Native American peoples gathered to stop the laying of an oil pipeline under Lake Oahe on the Missouri River half a mile north of Standing Rock in a location that not only transgressed traditionally sacred lands, but also threatened the Reservation’s water supply in the event of a spill. Such spills happen surprisingly often with oil pipelines, and when they do they can cause immense damage. 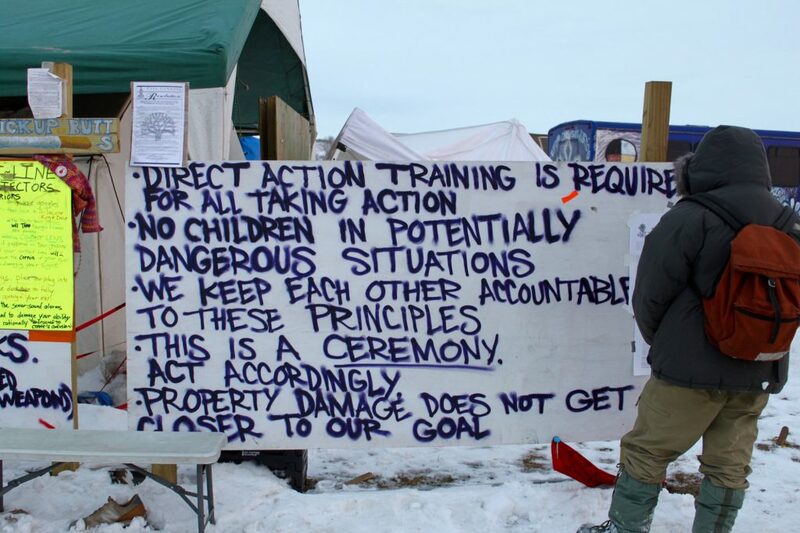 Indeed on 5 December 2016, more than 175,000 gallons of crude oil leaked from the Bell Fourche Pipeline into Ash Coulee Creek in western North Dakota.i That was just 150 miles north of Oceti Sakowin, proving the point of the protestors that no pipelines are safe or can be guaranteed foolproof against spills. The immediate issue is the future of the $3.8 billion, 30-inch diameter, Dakota Access Pipeline (DAPL) which crosses 1,172 miles of North and South Dakota, Iowa and Illinois. The pipeline is intended to carry more than half a million barrels of crude fracked shale oil a day from the Bakken and Three Forks production areas in North Dakota to a giant oil-storage hub in Patoka, Illinois and thence to the US Gulf Coast where more than half the nation’s refining capacity is based. An early proposal called for the pipeline to cross the Missouri north of Bismarck, the state capital, but the route was rejected because possible future oil spills were seen as a threat to Bismarck’s water supply. Instead the more southerly route close to Standing Rock was chosen, despite posing an equally severe threat to the water supply there, presumably on the mistaken assumption that the Sioux would put up less of a fight than the mainly white inhabitants of Bismarck. It is not only the language of the statement that is bizarre but the ideas behind the language. The uncompromising certainty that the project will proceed as planned seems inappropriate in the light of the Army’s decision. And it is downright offensive, indeed sociopathic, to label the Sioux as “a narrow and extreme political constituency” because of their quest to honor sacred lands and to preserve clean and safe water in the Missouri river. In 1861 gold was discovered near the headwaters of the Missouri, making Lakota territories on the west side of the river a target for prospectors. Thereafter matters, from the Indian point of view, continued to go from bad to worse and in 1862 the Santee, a Sioux tribe, began active resistance, attacking a military post and causing large numbers of white settlers to flee. Generals Henry Sibley and Alfred Sully therefore entered Sioux territory in force in 1863 on a punishment mission in which hundreds of Indians were killed. 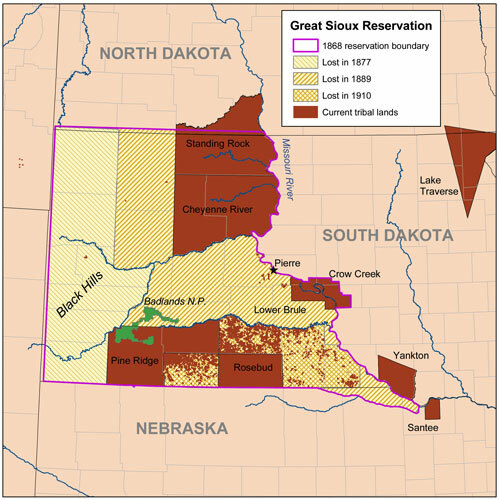 Rather than addressing the issue of trespass in Sioux country, the [US] government responded with talk of yet another treaty with the Sioux. Historically the federal government has had a poor record of honoring treaties negotiated with Indian tribes. As the need for land or resources developed, the federal government simply moved to change the provisions of previous treaties. Treaties are legal documents the United States government, as a sovereign nation, negotiates with another sovereign nation. Initially, treaties with tribal nations sought to define the relationship that existed between the U.S. and a tribe, but as time went on, the U.S. used treaties as a way to extinguish Indian rights to ancestral homelands. And so when Sioux treaty lands were overrun with goldseekers, the U.S. simply sought to modify rather than honor the existing treaty. Tensions along the Bozeman Trail [passing near the sacred domain of the Black Hills and thence through prime buffalo-hunting grounds that had been promised to the Lakota Sioux in the 1851 Fort Laramie Treaty] continued to escalate. Then, in 1866, the US government began to build military forts along the Bozeman Trail. This direct violation of the 1851 Treaty was rightly seen as an outrage and further treaty talks ended abruptly. Chief Red Cloud delivered a speech about white betrayal and treachery and led the Sioux delegation north vowing to fight all who invaded their territory as set down in the 1851 Treaty. Through 1868 Red Cloud and his warriors denied the Bozeman Trail to virtually all incomers. Army supply trains had to fight their way through, and soldiers were bottled up in their forts. The Indians had little need to negotiate a treaty and so ignored all government overtures to do so. 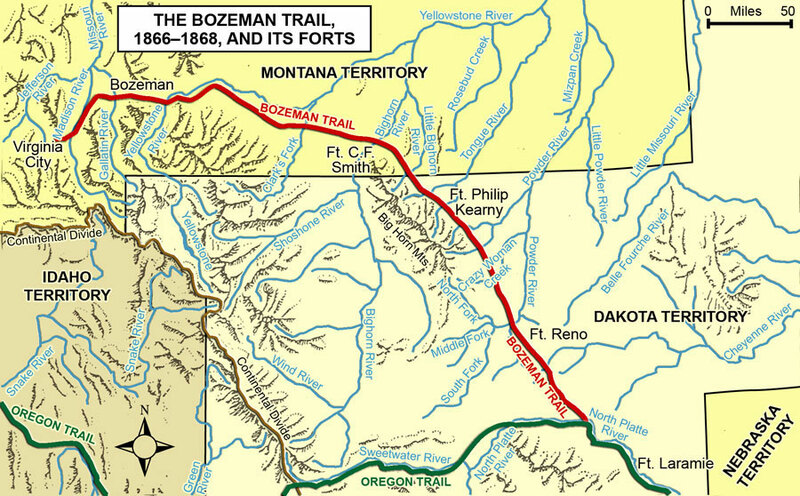 Finally in 1868 the soldiers abandoned their forts along the Bozeman Trail as a way to restart treaty negotiations. 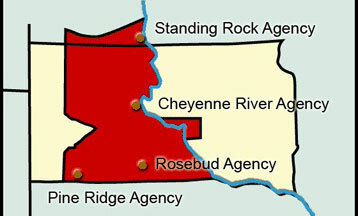 In return, if the Sioux agreed to be confined to this smaller land area, the federal government would remove all military forts in the Powder River area and prevent non-Indian settlement in their lands. The treaty guaranteed that any changes to this document must be approved by three-quarters of all adult Sioux males. 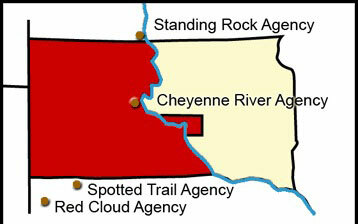 Red Cloud seemed to have won his point since the forts along the Bozeman Trail were abandoned so, in good faith, he signed the treaty. 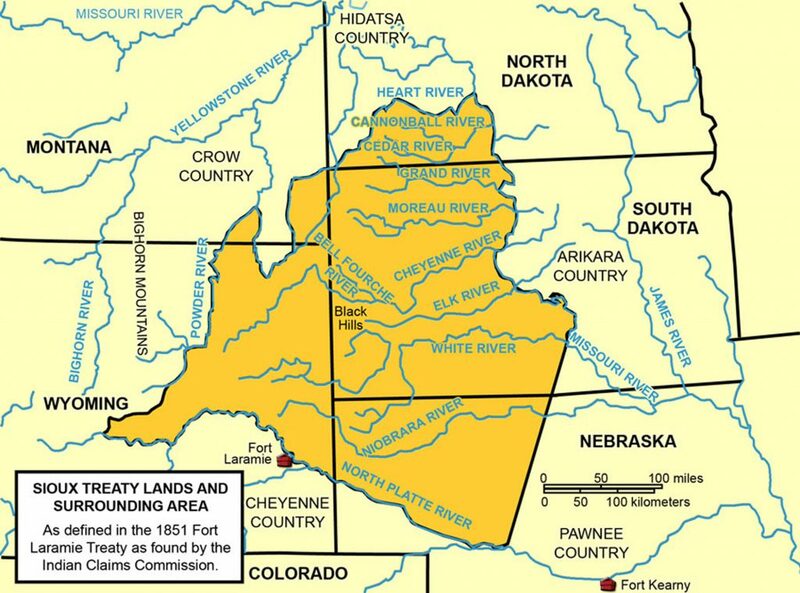 Those Lakota and Dakota who lived south or east along the rivers also signed the 1868 Fort Laramie Treaty because they were already living within or near the bounds of the newly established Great Sioux Reservation. U.S. federal Indian policy in the 1870s sought to enforce the reservation system and to confine Indians to certain areas apart from settlers; federal policy also encouraged Indians to abandon their nomadic lifestyle in favor of farming. By confining Indians within designated reservation areas, the federal government relentlessly pursued a policy described as “Christianizing and civilizing the savages.” The repugnant goal of this policy was to “make Indians fit to live in the presence of the [white man’s] civilization.” This would be accomplished by replacing Indian spiritual tradition, cultural values, and lifeways with those of mainstream American society. In fact, as a way to encourage Christianization of the Indians, the federal government assigned various religious denominations to administer the reservations beginning in 1869. By 1870 Standing Rock was run by Catholics. The various denominations established schools and generally carried out the “civilizing” policies of the federal government. Almost at once geological reports of gold in the Black Hills leaked to the general public and a stampede of miners poured into the area. By law these goldseekers were trespassing in areas defined as Sioux country in the 1868 Fort Laramie Treaty. Half-hearted attempts by the military to keep miners out of the area were unsuccessful, and by the spring of 1875 the Black Hills were overrun by prospectors. 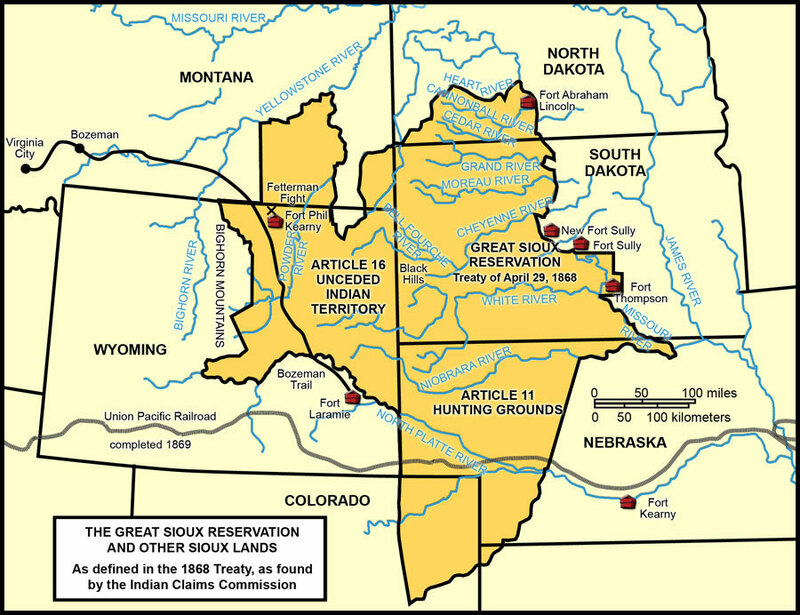 Rather than enforce the 1868 Treaty and remove intruders from the Black Hills as the Dakota and Lakota vehemently demanded, the federal government’s response was to call together a council to again change the terms of the treaty. 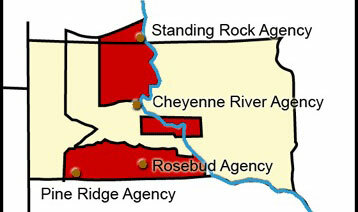 This time the government proposed to purchase the Black Hills. 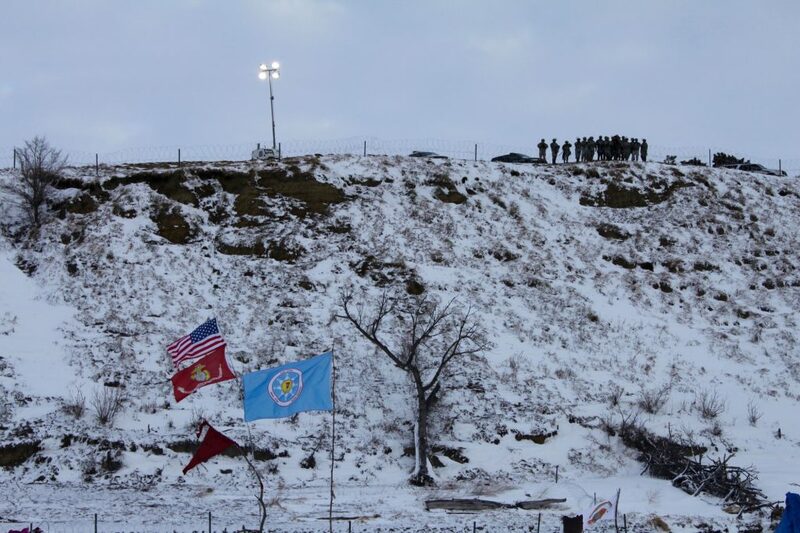 Little wonder then that the Sioux dug their heels in at Standing Rock in 2016. Viewed against the background of almost two centuries of deceit, dispossession and theft, the passage of the pipeline through lands that they had never formally ceded to the US, and across burial places and ancient ceremonial sites of great cultural significance, was simply the last straw. 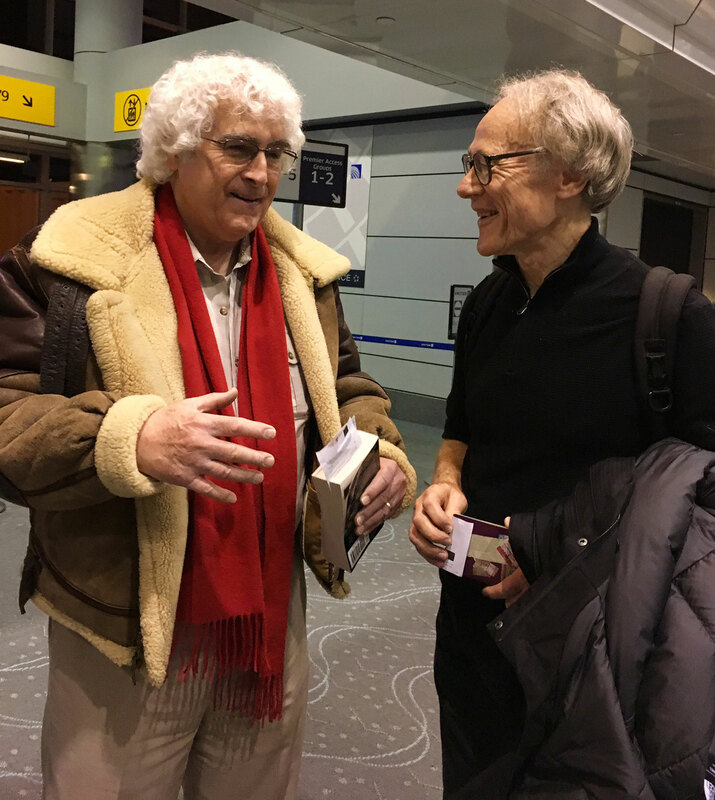 On my way to Standing Rock, at Denver airport, awaiting our flight to Bismarck, North Dakota, I bump into an old friend of mine – the attorney Daniel Sheehan who defended Professor of Psychiatry John Mack against Harvard University’s attempts to fire him. Despite the fact that Mack had tenure the university wanted him gone because of his unorthodox views on the UFO abduction phenomenon, but with Sheehan defending him Harvard lost the case. 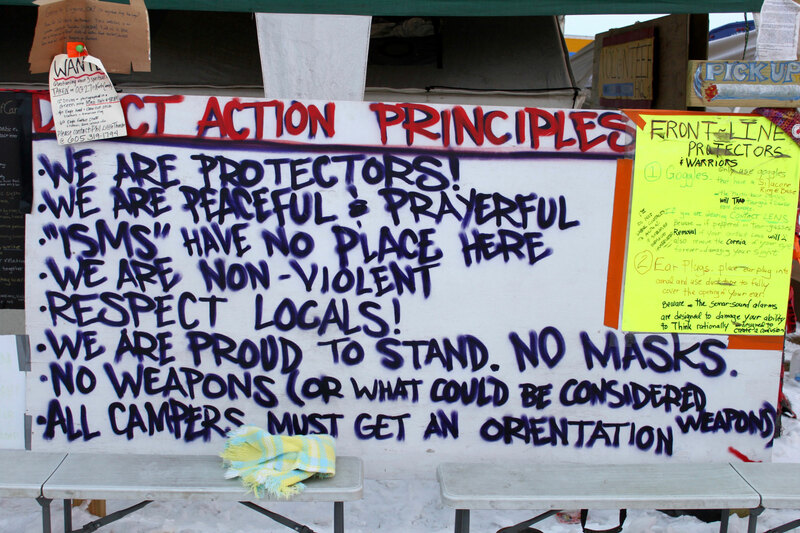 Catching up with Daniel’s news I learn that he’s a founder member of the Water Protectors Legal Collective and regularly volunteers his services to the Sioux at Standing Rock. For my benefit, since I have been trying to understand the treaties and the cavalier way in which they were repeatedly broken, he runs through the sorry history of the “legal” manoeuvres by which the US government has again and again sought to dispossess the people whose rights he’s now committed to fighting for. 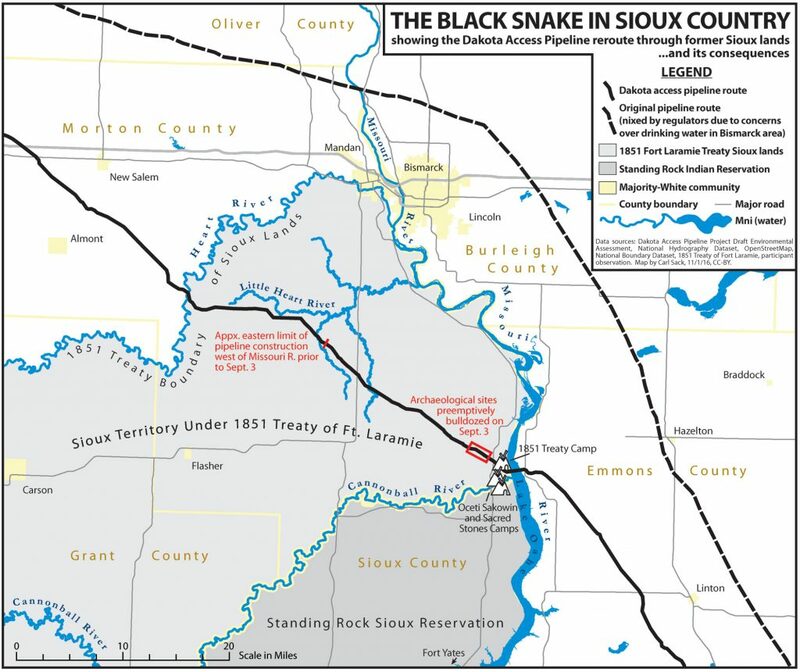 This left an unresolved loose end which continued to worry Wasi’chu commercial interests invested in the unlawfully annexed lands — a loose end that could be tidied up by finding some way to get the Sioux to accept the compensation payment. 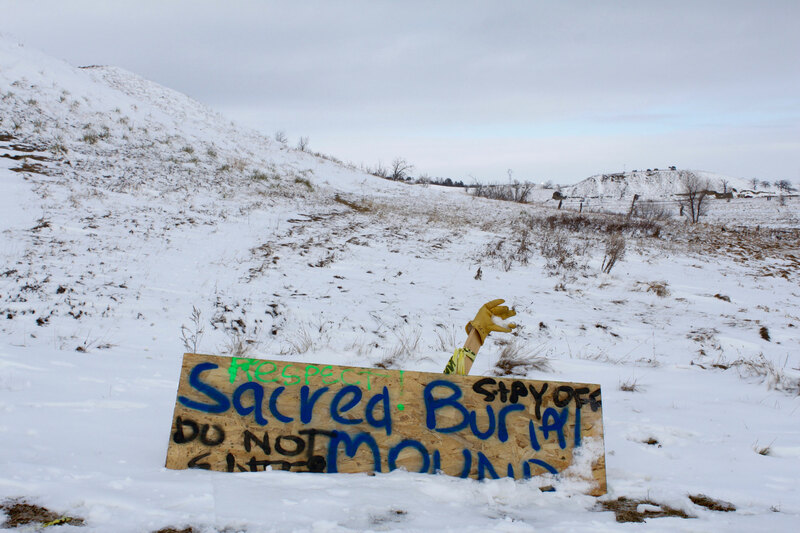 “Number One,” Daniel holds his fingers and begins to count, “not only do you have the issue of the sacred land with the burial grounds and everything, but, number two, you have the issue of the illegality of the seizure of the land with eminent domain. And number three you have the issue of fossil fuel contaminating the water supply. I’ve interviewed these oil guys. When they close out one of these wells, they just cap it, and it’s got this pipe that decays in like 25 years. It rusts out and all the poison that goes in there will just spread into the aquifer. They know it, and they don’t care. They just cap it and leave. It’s a point upon which Cody Two Bears elaborates. “This isn’t just about Standing Rock,” he tells me. “This is about everyone. It’s such an important time today – why people need to know this history. Because, for one, the history books would never tell you the correct story… the reason why. I talk to a lot of elders and a lot of spiritual leaders. We had to keep our ceremonies secret. We had to keep our stories a secret for so many years to preserve that. Because the government was fearful of what we had and who we are as a people. The laws will tell you that. There’s even a current standing law today in Montana, I don’t think they’ve taken it out of their law book, that if you see three Native Americans all together then you are able to shoot and kill them. Still legal in Montana, I don’t think they took that out of their law book. Those are the types of laws they created because they don’t want to see Native Americans gather because for some reason they were fearful of us. “But little do they know, our ceremonies and our ways of life protected us and Unci Maka (Mother Earth). We prayed even for those people who were afraid of us, to help them… to pray for them to make sure they were okay. “Because there’s a reason why Native American tribes are struggling today. I call it historical trauma from all the atrocities and genocides that happened to our people over the years. The many, many wars that have been waged not just against our tribe, but against every tribe. We’ve had to rebuild so many times! Whatever the government decides they can take, we have to come back from that on our own. We can’t get ahead. Want to see all the historical trauma the children of my people are born with? That’s why you don’t see Native Americans, First Peoples of this land, out there being successful. How come we’re not out there doing great things? We have people coming into this country that all of a sudden are successful overnight. But the First Peoples of this land can’t do that. Why is that? Because we still have a history of that trauma that we carry with us. That’s why you see alcoholism. That’s why you see suicides. That’s why you see health issues arise. Because we are a people still trying to heal. We all know how it feels when we have a death in the family but we have suffered that feeling for five hundred years. And we’re still trying to heal. “Chief Sitting Bull – love this quote – he thought seven generations ahead to this day, that’s how powerful that man was. He always said, ‘Let’s put our minds together to see what kind of life we can make for our children.’ That’s what he said. But if you think about today and the world we live in, what type of life are we making for them today? I mean, we’re destroying our water, we’re destroying our land, we’re destroying the natural resources of this country… because of greed… because of the one-percenters. Everywhere I go and speak, I tell the people this. It’s just one per cent. We’re the ninety-nine per cent of this country, of this world. Now it’s time to start using what The Creator gave us – our voice. 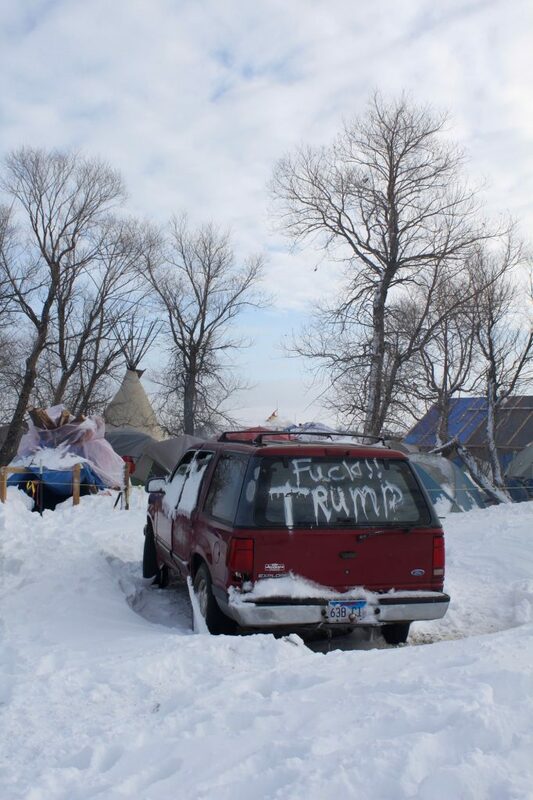 And this, surely, is the positive and uplifting takeaway from everything that happened at Standing Rock in 2016 – that the generation of today’s youth, this seventh generation so evident in all their rainbow colors at Oceti Sakowin camp, have rallied from all over America, and from all over the world, to affirm a fundamental truth – that Wasi’chu is not a skin-color but a lifestyle and a habit of behavior. Habits and lifestyles can be changed. We do not have to be Wasi’chu. We do not have to be amongst those who always take the largest portion and claim it as their right. We can choose to live in the world with love and without fear, not taking from others but seeking to offer nurture and support to all beings. 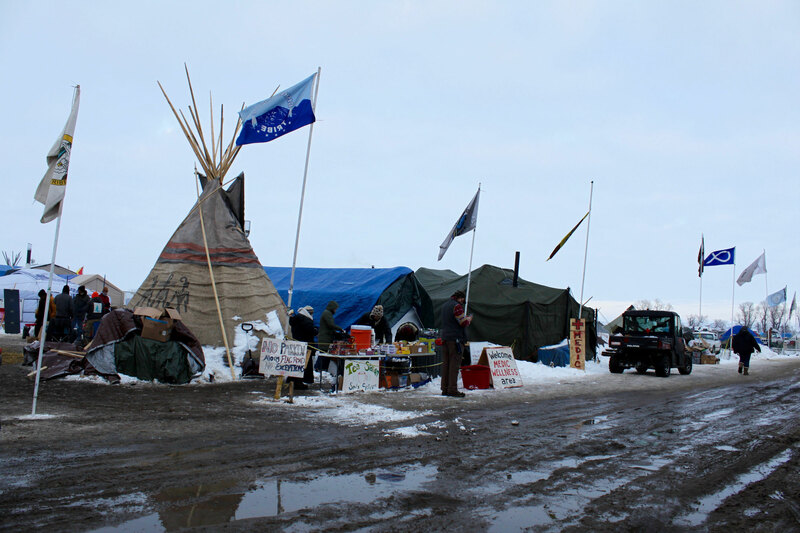 So, yes, at one level Standing Rock is a Native American struggle with its immediate focus on stopping the wasteful, potentially polluting, historically disrespectful and ultimately superfluous Dakota Access Pipeline. At another level, however, what it is really all about is how human beings wish to live in the twenty-first century. Do we continue with the existing system, the status quo, the still mainstream Wasi’chu view that does not believe in – and cannot conceive of – spirit, and that regards all of nature as nothing more than raw material to be consumed and exploited for profit by any imaginable means? Or do we approach the elder peoples, the First Nations of the earth – those whom we have sought to dispossess of their culture, their religion, their lifeways, even of their very names! – and sit at their feet and ask them to help us to create a different system guided by love of the earth and reconnection to spirit? This is the real promise of Standing Rock – as a catalyst for a worldwide awakening, a worldwide change of consciousness and perhaps even the faint stirrings of a worldwide change of direction. “The way I feel about this,” Cody says, “there’s a reason why we were all called here. There’s a reason why you guys are here. There’s a reason why non-Natives have come. Different groups, Black Lives Matter, you name it, they’re here. There’s a reason why. It’s because we preserved our culture for so many years. We preserved it and kept it for safekeeping where they tried to get rid of us. They tried to exterminate our people. But we had a Spirit that was so great, and we understood the meaning of protection. That’s why they we call ourselves Water Protectors. It’s true. We are protectors of this Earth. We always have been. That’s why we were the First Peoples here. Because they knew there was going to be a time when more people migrated here and the population grew and was going to overtake the world. So we were given from The Creator a powerful spiritual message that has come today to be preserved for you guys, for everyone. To have these teachings to teach you – the Disconnected Ones – how important this land is. “So when we see different peoples from all over the world that are called here… I always say follow your heart… and you see people for some reason they’re just aching to be here. I met two individuals from Alaska that are retired, and they just loaded up their car and came down here – they just HAD to be here. What we’re doing today is we are teaching the world how to live. We are teaching the world a culture that has been preserved for everyone. And the more you start to learn, the more you start to understand how important Water is. In our language, Mni Wiconi – Water is Life, and it’s true. Some eighty to eighty-five per cent of our bodies contain water. That’s why, as Native people, we were always a giving people. We were never materialistic. We never really cared about things, about having the finest things, because our culture and ways of life would teach us we don’t need these things and don’t have to have them. Culture is richer than anything. Once again, Mr Hancock bringing the due diligence like a blade. So much Gratitude. This was from Facebook a few weeks ago. Seemed relevant to share here. I’ve gotten a lot of congratulatory messages and inquiries about being happy at the news from Standing Rock; Obama has made the only correct action possible congruent with his stated values, the only honorable action possible for his legacy when viewed by the eyes of history. Finally at this late date semi-decisively halting the current route of construction on the Dakota Access Pipe Line. I’m so grateful to have people in my life who give a damn about this, ya know? And I’m touched to be associated with the subject in some heads. To me, this is a simple equation. 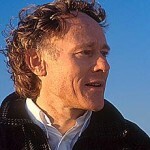 Anyone who professes to be driven to action or prioritize “the children,” whether their own lovingly selfish genetic descendant’s preservation or as a general moral or political sentiment, they must unconditionally support the protection of Nature’s ecosystems which we are risen from, whether their beliefs define it Divine or blind. Without moralizing it’s clear to see that for our own self interest our society needs to restructure it’s relationship with the planet that bequeaths life and sustains it, and our relationship with the institutions and entities that attempt to undermine that effort. Personally, I want my son and my species to decide to live in a society where the finical goals of a few disproportionately powerful families and corporations do NOT “trump” the cultural and psychological value of preserving sacred land and spaces of an autonomous peaceful people. Because that value does not end with those people, there is where it begins. The cultural and psychological value is to US. The outsider, the powerful, the comfortable, who chooses Peace and Respect not because we have to politically or economically or in response to shame, but because it is the truth of our Heart, and this is how we show our kids and make it a driving principal of their Hearts. This is a test if we truly are a democratic society where the voice of the many drives the actions of our appointed representatives because all people have acquired the civil rights outlined in our nations founding documents, or if we are still learning to be free. Freedom is a form of consciousness, not a gift to be given or a range of actions to be allowed. It’s the ability to say “NO” when we are not physically or economically free, when they come take Land or Dignity. Our bodies and the Earth’s body are not free, our HEARTS and MINDS must be, and we must not “adjust to an unjust system” (Brother Cornell West) but WORK and SPEAK and LOVE until the external reality is harmonized with our internal Truth. So, in response to inquiry as to happiness or satisfaction? Of course! it felt wonderful for the Protectors and Family to get the symbolic nod and ‘win.’ It is a MAJOR encouragement for everyone! I am most warmed and grateful to know how it affects those who did not yet have the hope or assurance of The Force behind our hearts. Yet, I cannot celebrate. What drives us is not stopping this pipeline. It is healing the world view that says we must have more pipelines. It is introducing or reintroducing into the Earth Human Family the honor and memory our of Ancestors, our ability to love the Other, and the humility of our place in the Cosmos as travelers and guests on our planet/home/mother/spaceship Earth. This is the first days of this New Thing, and this New Thing will not be allowed to grow freely, Standing Rocks will not be left alone and allowed to cast accurate shadows. Seeds will not be left alone to root. There will still be the full force of a gargantuan corporate/military machine bearing down upon shoots and sprouts and attempting to obscure Rainbows and Stars. And in January our new President Trump takes office and will wield the same pen Obama did the other day and I do not believe Trump, a *stock holder* in companies developing DAPL, Keystone, etc.. will stand idly by and let his associates and investments be derailed, undermined or diminished. My concern is that this “success” will just allow growing hopes and esteem be dashed to pieces that much more effectively when the authoritarian machine enforced through violence doubles down in the coming months, illustrating their willingness to cross any lines perceived to have been established by a nonviolent movement.. I think we would be better served by planning, fortifying and strengthening our community’s resolve to be ever louder, ever more informative, ever more resilient in our drive to protect our children, enrich their education and preparation for young adulthood. Please don’t be disheartened by the coming days, a rotten foundation must crumble and burn before a temple can be built where the slaughter houses and factories stood. Thanks to everyone supporting the cause of a forgiving harmonious humanity. Love and Gratitude. 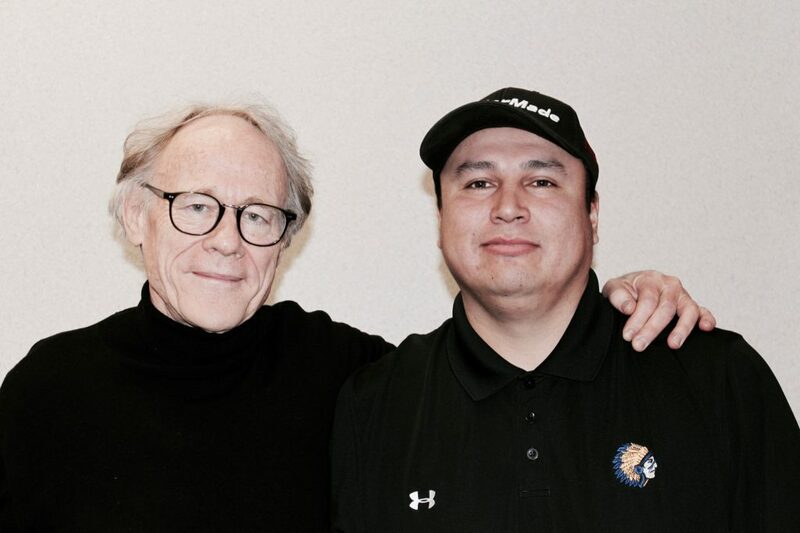 Thanks man,for taking the time to go to Standing Rock and thanks for writing this.Btw,a little cannabis in strict moderation can be good for you…😎Be excellent to one another!! Thank you for this vital information. Your timing could not have been better.I think that we (all humans alive at this time) are on the verge of a massive lesson in priorities. We need clarity of issues above all. I Love your work Graham. It is my sincere intention to understand and share the depth of importance that is this issue so that I may affect all my brothers and sisters of the Washi’chu in a good way. This I affirm. My thanks to you, Mr. Hancock, for your dedication and passion for this cause and for all that you offer the emerging consciousness of our time. Aho! Graham, so this is the book you’ve been writing. A lot of useful details to expand on, work out solutions, and very interesting points of view of the news making interviews.
. . . “Just how does one modify a partially broken treaty without declaring eminent domain (the right of a government to appropriate private property for public use with compensation to the owner) and expropriate treaty land for the sake of presumed public necessity without drawing attention to a few within the energy industry?” . . . “Is treaty land private property?” . . . The way I see this – this menagerie of problematic conditions – is that there are too few who have the means of hiring a team of specialist attorneys to sort through this multifocal and multi level public member, property, and national resource requirement issue. It may sound vaguely familiar, but do the needs of the many – The citizenry of the US – outweigh the needs of the few – The treaty land inhabitants? Is it a convoluted market and economic arrangement to secure national security and reduce dependency from, some say, cut throats from over there? In a way, it seems that there were several angles of negotiation not entered into the greater development. I wouldn’t know as I wasn’t there. Somehow, another treaty broken with indigenous folk does not sit well. Those who might have energy resource solutions to benefit all parties within these sovereign borders on this matter now would be a good time to introduce yourself as this general scenario is not likely to go away. Coastal storm surges, drought, population relocation, infrastructure dystrophy, to name a few increasing concerns, will need answers sooner than later, probably, on a much bigger scale and like those few named circumstances listed above they have similar requirements and associated legal ramifications. Not to mention a lot of action required in a shorter time frame. Some say the Chinese built a vacant city to relocate an occupied city. Perhaps. Only the Chinese know for sure. With a few tweaks and efficient transportation that city can be occupied since many of the buildings already line the cityscape. They notably built high or upward instead of in an expanding sprawl. I thought it was a reasonably good idea, but I’m not privy to the details. Could this pipeline be something like that in that it is a support endeavor all around to prevent bad from getting worse or even as a near term alternative to prevent bad from getting worse? It has become a learning process in no small way. It’s not likely that the citizenry here in the US will tolerate a few folks benefiting while the rest suffer the consequences of others exploitation and a hefty embedded tax burden in its pricing. I suppose we’ll see how this resource acquisition and development plays out soon enough. Thanks Graham. I feel like I just attended class while you and your wife, Santha, did all my homework. Heh! Heh! They will even tell themselves self-deceitfully, look at how much good came from making energy easier to ship. Look at how much more industry was able to flourish. Few of us realize the sins we used to support in the name of earning a living. I for one seek atonement. I actually bought into their lies for many years. Thinking that pipelines were the less invasive means of transportation. But after 25 to 50 years or when they simply find a more viable means of getting their oil. They bury them. Inspections cease, and a toxic catastrophe is ticking like a bomb. God knows how many are ticking now on some of the most beautiful lands on Earth. But this stand is more worthy then most, because it is not our land!!!! 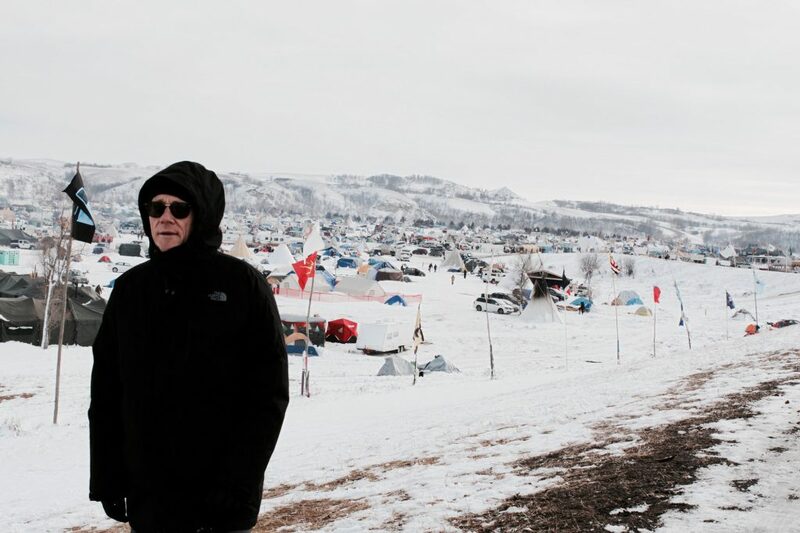 Thank you Graham for putting together a great article on this very important time at Standing Rock. This is the best researched and well written article I’ve come across yet! Love your work. Thank you. 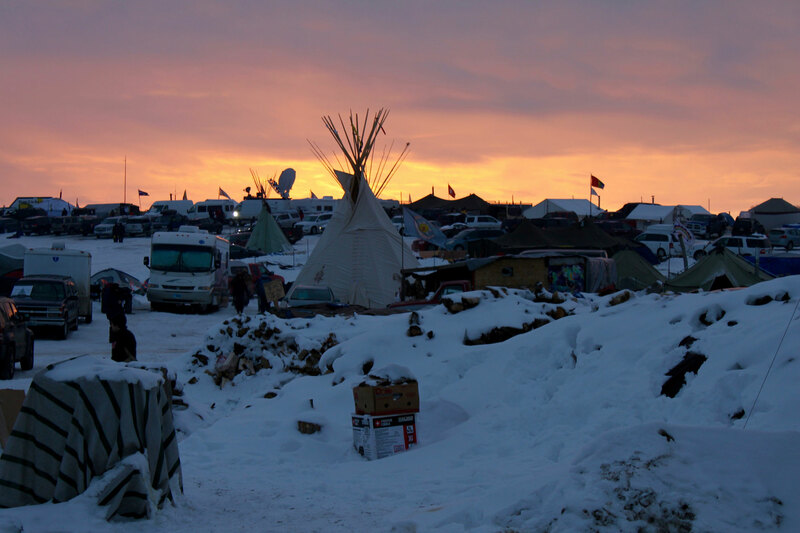 With such an excellent and flawlessly researched article, the criminality of the DAPL and indeed the U.S. Government should be obvious to all. Whether or not that makes a difference in the outcome of Standing Rock remains to be seen. What a horrible feeling that is. I applaud this article as the most comprehensive, well researched and clearly communicated background of the pipeline situation. I resonate with the comments above on your article. Thank you for standing with the Mother Earth people – with all people who stand for our environment and survival. I just wish to point out that the name Sioux – coined by the “White” or greedy invaders may have become tainted with the oppressive connotations – but its origin is noble. Sioux are indeed the “serpent people” whose legacy came with Naga and boat passage migrations of our tribal family – to carry the seed and knowledge of the ancient serpent and Mother culture. That is in the secret and sacred peace bundle – legacy of the Goddess, White Buffalo Woman of the South and Star People. Over a decade ago Arvol and Paula were planning and discussing with me the set up of their PEACE institute through Wolakota Foundation. I was researching, designing and establishing the global framework and now some years later setting up and implementing the first of this visionary network with Indonesia as vital to cultural transformation – other governance attempts in many developing countries failed in UN sustainable development to date. “We” were discussing and planning the first “sister institution” – an original design by Wolakota members that will fulfill unique Native Nations needs and then expand for national and global purposes in equity, sustainability and knowledge multi-culture exchange. 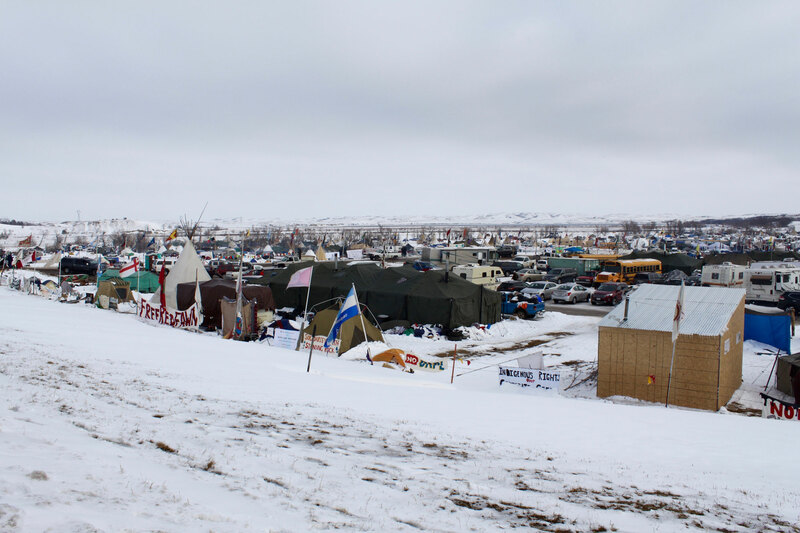 At the time the major issue was not even funding – it was that they wanted to establish in their sacred territory – these stolen lands of Standing Rock. But they could not get permission to build and implement on their own lands a vital hub for heritage and culture preservation, social development, disaster recovery and adaptive survival resilience. What can we do about this? The USA is a democracy and those original inhabitants should be able to establish assets that enrich all the citizens of USA and beyond – the American people should have democratic right to assert this. What have we lost in this world from our quest for power? I believe it is we have lost the impetus to continue living in fantasy delusion – that our current governance is truly democratic simply because we “vote” for who controls us. People vote for social values but the governments are not administrating for the people who voted (employed) them. Instead they are obeying or aligning with corporate interests who have tax shelters in other countries, do not contribute to the social tax system but promise token kick backs that have personal impact. All want the money to buy freedom from that wheel and live with ease and comfort, but there is never enough to get off the roundabout again. Even those controlling are tied to that wheel – pinned out and staked to smoke and mirrors carnival glory. Standing rock and the right of American citizens in a matter so serious should be the subject of what I call a referendum – a public vote specifically around this pipeline issue. Do the people of America and especially those directly impacted want or need a pipeline carrying fracked fuel? How does this fit in with forward governance energy strategies and UN call for “URGENT” need for sustainability and equity frameworks necessary to survive as a species? Further,those who are subjected most to the threat should be free to publicly state their case and grounds without threats and harm. America is “leading the world” in democracy – in point – as head of UN Security Council. It does so through holding the might of material destruction through weaponry and financial control. Should America set an example to those in other nations – especially the ones claimed to be unstable, even rogue states? Or should we all perish – some of us, due to the continued onslaught of environmental destruction, a little later than those courageous who make a last stand against the modern coward of Custer’s legacy development and dominance at all costs. What are the economic costs of running this pipeline across these people’s land and water supply? Have Deloittes or KPMG consulted with a “Natural Assets Survey” in Capitalist trend? Is it not hypocrisy that even the leading edge of our Capitalist developmental world is championing sustainability while this heinous and legally questionable practice takes place under a new capitalist champion government? A testimony to the whole world that commercial conquest matters more – than human lives, than habitats, than peace, than livelihoods – than life as we know it. That’s a very expensive pipe transporting the ill gotten gains of environmental destruction. We might better replace it with the peace pipe that Sitting Bull’s ancestral grandson, Chief Arvol is charged with custodianship in these dark times of civilization poised on the brink of disaster. We might work with the natural knowledge preserved by our Mother Earth people to implement sustainability and renewable energies with more vigour – accede the mature wisdom of UN advising energy consortiums who also know we must do this not (not target or aim for it in the future) by allowing some continuation of transition fuels. Read the UN reports. Be aware that if 97% of scientists agree to the fact and damage, harm of global climate change – that’s sufficient expertise to silence the arrogant and ignorant politician on the irrigated golf course who doesn’t “believe” the scientific majority – let alone the people who hold power of consciousness beyond even science. Our non deluded reality is that if we are not in the middle of the storm we do not believe it is happening. But we all know when a storm is coming. That storm has been coming for some time now but will intensify rapidly. Governments ignore it because they are voted for five years to show financial success – not to focus on global survival – that is for UN and long term strategy. Only UN doesn’t collectively drive the world – America does. The new Atlanteans. This is not just a stand for environment and Native people – it is a stand for democracy, for peace and for survival of humans. It just takes the wisdom of Mother people to know this without being deluded by the Carnival glamour that our current world numbs and consoles the masses with. The consumer drug is highly addictive. Graham, I fully agree with your entire take on the lost knowledge of our species, and have had an “awakening: myself and had 4 fully conscious experiences, and wasn’t consciously trying to achieve that state, it was something I can explain over a talk. I do have knowledge that I could suggest adds very much to your theory, and pretty much perfectly dovetails into many ideas you have and have talked about on Joe Rogan. I have a very good idea of how to deliver a anti-virus into the amnesiatic mental state of the species, and its business idea that would make every lots of wealth. I am ex investment analyst, that made quite a lot, and quit, for some reason I now understand. But I did have a genius ability in economic and advanced finance theories in school, and pretty much can disprove the validity of all those ideas, which essentially is what the world economic engine is fundamentally based upon today. I would like to get in contact and share ideas. I was aware of you, from the 90″s when I randomly started reading everything about early civilizations, I read every piece of historical fiction that has been written. Every book Lots of books, it consumed for 10 years. The reason why scientists can’t concieve of the logic of your theory, is because of polarity reversal associated with the impact of the comet event on collective consciiousness, which resulted in the scientific method of proof that is an alpha numeric elimination of all possibilities that aren’t the theory. Its a very mathmatically exhaustive process, but is not done in the universal language of origin, which is geometric symbolism thats left all over the place to be re-interpreted, when we start waking up. I heard the premonition of the bee hive symbol in the masonic and egyptian glyphs. I have a theory. Before I saw that on the podcast, i would like to trade wits on it, and you can have any credit or use of what I think, what your purpose is, doesn’t conflict with any license over ideas I have. I will give them, and forgo any license of authorship. I became aware of the extermination of the Native Americans when I was eleven years old, it took ten more years before I learned the full extent of the American governments genocidal history. since my awakening in the early seventies I have developed a deep sense of guilt and shame about what our European ancestors did to the First Peoples of this continent and the shadow of my realization has followed me for 47 more years, as crazy as it sounds I think about the travesties inflicted on the American Native People everyday….this is what they call the white man’s guilt, the karma laid upon me by the genocidal Spaniards and the subsequent hordes of various white European invaders. I think it is fair to say that what our ancestors did to the Indian nations was so terrible that the ripples of this travesty will ring perpetually through time without end. I believe that history has a living continuance and that what has come before us is not a dead detached ‘thing’ but a living connected woven blanket intricately attached to the present. I have French/Cherokee ancestry which binds me in some incomprehensible way to this ongoing tragegy which I now know will haunt me to my grave….I mourn for our Native brothers. There is probably no issue that shows how much we need to change OUR way of thinking about our society than this one issue. The reason? You are ALL avoiding the reality of the situation. The oil companies do not build oil pipelines without government permits and government permission. The police do not authorize THEMSELVES to come in and bash their fellow humans. Donald Trump did not approve fracking or authorize pipelines. And yet not ONE criticism of our system of governance appears here or anywhere else in the criticisms of this issue. Am I truly the only one who notices that you’re all avoiding this? Just as in the case of Flint Michigan, ALLOWING these things to BECOME issues requires several levels of government approval. If you are going to accept the written rules of people IN government as if they were unquestionable edicts of the Gods, then you are already defeated. The Energy East pipelines was “protested out of existence”, but Justin Trudeau went ahead and approved two other pipelines right after. And the reason this can happen, and will CONTINUE to is that “you the people” simply accept that your government has “legalized” fracking. Tell me something all you supposed anti-frackers: is there anywhere in the world where fracking is a GOOD idea? The same people that GIVE oil companies the “right” to frack personally and directly profit from it financially (http://allaregreen.us/). But you as people simply refuse to believe that this affects the decisions of those in government. You think of your system of governance as an entity that cleanses all immoral motives from those IN government and ignore reality. These laws are not made by some Divine Perpetual-Motion Machine of God’s Justice. STOP treating your system of governance as some idealized larger-that-life knight on its white horse. Stop treating “government” as some holy institution for your protection. It obviously isn’t. They are people IN government, not living embodiment of the “Divine Machine of God’s Justice”. They are just people. Nothing more than people. I’m a person: would you accept MY poisoning of your water supply? Your daughter’s, your grandparent’s, your pregnant wife or self’s? Why do you try to stop the oil companies, the pipelines, the corporations when stopping THEM will accomplish absolutely NOTHING? Unless you decide to take away the control to make such decisions away from the PEOPLE who now control them, NOTHING will CHANGE. Nothing CAN change. And nothing can change THAT by merely ignoring the fact that the people IN government consciously DO this over and over. Can anyone reading this grow up enough to face the real issue as an adult? I have an idea that can get rid of ALL fracking: ALL GMOs, ALL chem trails and indeed, ALL corporate polluting. Right now the ONLY reason my plan isn’t in action is I cannot find the two or three other people necessary to help enact the plan because every time they contemplate standing up to “Daddy-Government” they retreat in primal fear. They are just PEOPLE! They are NOT Gods! If anyone has the BALLS to actually challenge government, please reply. Thank you. I think your account,Michael Freed is to the point.if indeed trump means it is our govt which it is and the army core of engineers protects alas doesnot allow the encroachers wasici then all of us are the ones capable of taking back to our selves and respecting earth and ourselves as the brave native americans we should continue to align our culture back in kind.Thank you to graham Hancock. All of this happened on Obama’s watch. Yet it’s Trump’s fault. If you want to talk fascism look at Obama and his green energy schemes, principle among corporate operators is General Electric. With regards to fracking, the technology has taken a leap forward with microwave fracking. This technology is to come online this year, 2017. The bi-product is clean water, no wastewater disposal. The technology opens up the Green River Formation in Colorado which contains three to four trillion barrels of oil shale, about half of which is recoverable by microwave. That amount is five and a half times the proven reserves of Saudi Arabia. This single geologic formation could contain more oil than the rest of the world’s proven reserves combined, not to mention natural gas. Love your work Mr Hancock, may I say the prayers and support of the Maori tribes of Aotearoa NZ are with the Oceti Sakowin. Thank you for sharing your views and research on the matter and its background. A sad day again with impending doom on the horizon. Hi Mr Hancock. I’ve been following your ideas and claims for a while, about Younger Dryas Theory and the one in the Magicians of the Gods. I’m from Turkey, and a researcher of Gobeklitepe, which I don’t think it gets enough attention from western scientists that it deserves. As you repeatedly raise the topic of Water Cults and “Men coming from the water brings wisdom”, it made me look in to the history deeper and closer with an alternative eye-glasses. As a result, I remembered that I’ve read about Australian Aboriginal myths were related with Dreamtime creatures who created this world, descending from clouds and traveled back in to the water and lived there. Whenever they’re needed they reappaear, coming out of the water and help inhabitants of the world. Thanx for the great work and being a persistent advocate of an alternative perspective for the roots of humanity. I may be wrong, but I think I’ve heard Mr. Hancock refer to these in some speech or program. I am fascinated by his theories of lost ancient civilizations and furthermore I am really curious what his position on the anunnaki astronauts (ancient aliens, celestial mentor) is. I was curious why this is making so much noise, considering there already are two existing gaslines built in 1982, running the same path. According to this, DAPL is laid on land that was excavated many times before, parallel to existing lines, at a much greater depth, and using modern technology. I managed to confirm this info; do you think it’s still bogus? Additionally, there were multiple route deviations and adjustments to reduce environmental risks. At the end of the day, pipelines are the safest way to transport oil, gases, or other fluids.